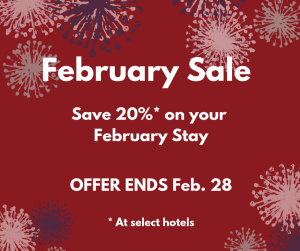 Save 20% when you book your stay at listed hotels this February. Join us this February as we celebrate Black History Month and the 40th Anniversary of African American Interpretation in Colonial Williamsburg, with new special programming. For more information on programming, please click here. Based on availability. Stay dates 2/1/19-2/28/19. Rates do not include applicable taxes, service charges, levies, resort fees, gratuities, or surcharges, unless otherwise noted. Early departure fees may apply. Cannot be combined with any other offers, discount, group bookings of 10 or more rooms, or existing reservations. Deposit Policy: We require the first night’s room and tax for each room reserved Cancellation Policy: Reservations must be canceled at least 3 days (72 hours) prior to the arrival date in order to avoid a penalty charge of one night's room rate plus taxes.